English is taught in all schools, making the Philippines the world’s third largest English-speaking country. Every year, there are some 500,000 graduates enriching the professional pool. According to the 2017 World Bank Open Data report, the country’s current labor force size is at 44.6 million, with a productivity growth that has been rising steadily since the last decade. This labor productivity is greatly attributed to the country’s high literacy rate that is at par with that of affluent Western countries such as the USA, UK, and Canada. The Filipino people’s proficiency in the English language and dependable, hardworking nature also contribute to their employability. Additionally, the labor force median age is 23 years old, a favorably young demographic that is accustomed to modern-day digital technology. This talent powerhouse has been making a massive contribution to the current global skills’ shortage and helping other countries acquire access to a young, skilled labor pool to compensate for their aging workforce population. The Philippines’ largest export is its people, and it contributes to the global labor-export market with the biggest percentage of tertiary school graduates. Business matters in the Philippines are typically best dealt with on a face-to-face basis in a friendly and pleasant atmosphere. While many Western businesspersons think that time is gold and want to get their point immediately, Filipinos like to be indirect, talk about mutual friends, schools which they attended and family commonalities. Only after establishing a cordial atmosphere will people begin to negotiate. No matter what the final result, the discussions should always end on a positive note. To a Filipino, cultivating a friend, establishing a valuable contact, and developing personal rapport moves business along. The Filipino way of doing business is an infusion of the East and West. When setting up appointments in the Philippines, especially in government offices, it is most advantageous if a “go-between” or someone with previous connections to that office can make some form of introduction on behalf of the requesting party. After the requisite small talk following the introductions, typical business meetings then focus mainly on the agenda. Specific conclusions are not necessarily achieved during the initial meeting, but Filipinos are usually amenable to follow-up discussions or negotiations. A formal agreement or contract may take a longer time to finalize compared to what Westerners are accustomed to. Moreover, as in most Asian cultures, Filipinos prefer to avoid “loss of face” or public humiliation, especially among peers. Therefore, Filipino contacts appreciate an atmosphere of calm and restraint, avoid direct confrontation, and typically offer a polite reply coupled with a smile versus outright negative feedback of the other party’s ideas. A “yes” may mean a lot of things, therefore one should be aware of the subtleties of a particular conversation in the Philippines. A “maybe typically means “no” and you rarely hear “no”. The Philippines allows 100% foreign ownership in almost certain sectors and supports a Build-Operate-Transfer (BOT) investment scheme that other Asian countries emulate. Government corporations in the Philippines are being privatized and the banking, insurance, shipping telecommunications, and power industries have been deregulated. Incentive packages include the corporate income tax, reduced to a current 32%, with companies in the Special Economic Zones (PEZA) subject to only 5% overall tax rates in the Philippines. 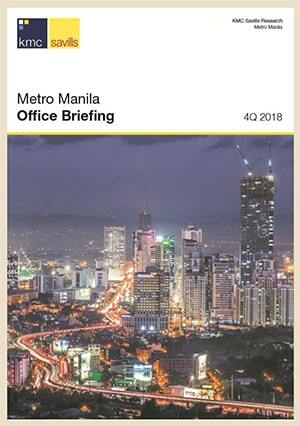 Multinationals looking for regional headquarters in the Philippines are entitled to incentives such as tax exemptions and tax and duty-free importation of specific equipment and materials. Office hours for business firms and the Philippine Government normally are from 8:00 a.m. to 5:00 p.m., with a one-hour lunch break. Most banks are open from 9:00 a.m. to 3:00 p.m. It is best to attempt to accomplish business objectives in mid-morning or late afternoon. Many business deals are completed informally during meals, entertainment, or over a round of golf. Offices are generally closed on Saturdays and Sundays. Philippine business has its own etiquette. For example, as a show of respect, Filipinos usually address people by their titles (e.g., Architect Ramos, Attorney Bong, Dr. Ramirez) although the professional might request a more informal approach (e.g., addressing them by their nicknames, which almost all Filipinos have) after the formal introduction. Handing out business cards is standard procedure in the Philippines, although the manner in which the cards are exchanged tend to be rather informal as compared with other Asian cultures. 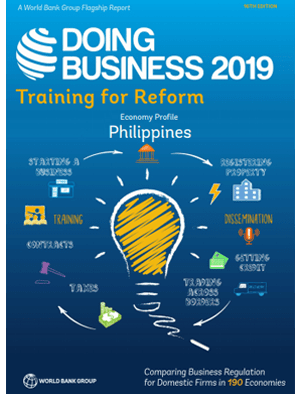 The foreign businessperson visiting the Philippines should avoid, as much as possible, personally grappling with the bureaucracy in the Philippines. Customs, for instance, requires many signatures, visits, and red tape to clear any type of cargo. The Filipino approach to the problem is to use staff capable of moving through the bureaucracy. Whether getting a driver’s license or registering a car, the foreign visitor will benefit by delegating the chore to someone able to negotiate through various desks, with a smile and a knack for delivering token gifts or keepsakes. Observing office etiquette in the Philippines is also important. When reprimanding employees, take them aside and do it privately. Be as gentle as possible and always make it a point to end the meeting with some show of personal concern for his family to make him feel he is still part of the team and that the criticism is not personal. Again, this is consistent with avoiding “loss of face” in the local culture. English is the official business language in the Philippines. Most correspondences, contracts, and other documents are written in English. Among Filipinos, however, it is common to hear “Taglish” (a combination of Tagalog and English and English, or shifting back and forth between the two languages) during informal conversations. Body language and hand gestures (e.g., a raised eyebrow, a faint smile, movement of the lips without speaking, a scratch on the head) are also integral to how Filipinos express themselves. Texting or sending SMS has now become a choice medium in the Philippines. Money is even discussed through SMS. In a formal occasion, seating is arranged. There is usually a head table for the VIPs. Guest speakers are often the highlight of the dinner. Light entertainment is not unusual. In most instances, important guests accept requests to sing. A pleasant atmosphere and a minimum of formality is the tone. Business is not usually discussed until after establishing a convivial ambiance, usually after soup or appetizer. The dress is according to the venue. The person who invites customarily pays. A guest does not order the most expensive items on the menu unless the host insists otherwise. It is also customary to have a drink before sitting at a dining table like many cultures. Christmas is also a time to show appreciation to people with whom you have regular dealings with, e.g., the security guard, clerks, admin, doorman, messenger, as well as good customers and clients, through token gifts. Gifts could range from baskets of goodies to company giveaways to plain calendars or office items with your company logo. Bringing sweets, cakes or pizzas to the office is very much appreciated by Filipino employees. Summer-type clothing normally worn in warm climates is suitable for the Philippines. It is acceptable for businessmen to conduct calls in short or long-sleeved shirt and ties without a jacket. Either a two-piece suit or the native “barong tagalog” (a lightweight, long-sleeved shirt worn without a tie) are acceptable ordinary business attire. Light suits and dresses are appropriate for women in the Philippines. Any foreigner with a full dress suit and tie will stand out. A lover of words, Venus is a digital copywriter. She handles company website content, marketing collaterals, and promotional campaigns. Venus specializes in technical and SEO writing and loves to write about market trends, technological innovations, dragons, and the poignant life stories of exceptional human beings.